Tata Harper is a brand that has been on my wishlist for the longest time. I follow so many fellow skincare lovers on Instagram and Tata Harper products appear on almost all of their feeds. This is a 100% natural skincare line and there are quite a few products that I want to try so I am thinking that a gift set would be the best place to start so I can try a number of the products without too much of an outlay. I would love to hear what your recommendations are if you have tried this brand and have similar skin to mine (dry and sensitive). Herbivore Botanicals is another natural brand that doesn't use any fillers and is cruelty free. Blanche from The Beauty Bloss named their Blue Tansy Mask in her top 3 masks so that alone makes me want to buy it because we have similar skin/taste. As with Tata Harper, there are a number of products that I want to try, so again, I think that a starter set might be the way to go. If any of your know of a UK or European stockist, please let me know because I hate paying customs fess (who doesn't?!). 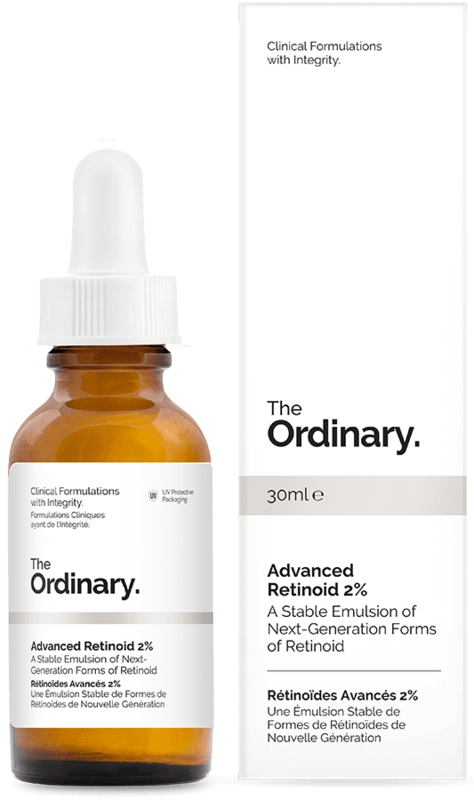 The Ordinary is a relatively new range from Deciem. The products are extraordinarily inexpensive, yet by all accounts, very effective. I've yet to read a negative review of the products so obviously, my interest is piqued. The packaging is basic but it's what inside that counts and we all know that hefty prices and fancy packaging is worthless if the product itself disappoints (Charlotte Tilbury Magic Cream, I'm looking at you!). Have you tried any products from this brand? Again, I would love all suggestions below! Indie Lee is the final skincare brand that I would really like to try some products from this year. This is another all natural brand and I find Indie's story very inspiring (she started the brand and changed her lifestyle after being diagnosed with a brain tumour, which was attributed to environmental toxins). The prices range from $28 up to $130 so I think that a cleanser would be a good place to start (if I haven't tried a brand before, I generally like to start with either a cleanser or a serum) and this Brightening Cleanser sounds right up my street! Again, I would love if you left any recommendations in the comments! Tom Ford is a makeup brand that I have lusted after for quite a few years but have never actually purchased anything from. The products are at the high end of the spectrum in terms of price and I assume also in terms of quality, but I haven't yet been able to justify any purchases. It's partly due to the price but also partly due to the fact that if they products are as good as everyone says, it could be the beginning of a very costly love affair! Either way, 2017 is the year that I take the plunge! These are all new (to me) brands but other brands that I already love products from and want to explore further due to how much I love the products that I have already tried are Oskia (Renaissance Mask is my favourite ever), Omorovica (their Omoressence has banished my dehydration and Ultramoor Mud Mask is like spanx for your face! ), Korres (their Wild Rose Advanced Nourishing & Brightening Oil is one of the best I've ever used), Zelens (I have only tried the liquid cleansing balm so far and a sample of the eye cream and highly rate both), Tatcha (their Luminous Dewy Skin Mist is an essential for me so I would like to try more of their Luminous products), Pestle & Mortar (their Superstar Retinol Night Oil is seriously impressive, review coming soon, so I would like to try their other products), Hourglass (their new Ambient Strobe Lighting Blush Palette & Ambient Lighting Edit: Surreal Light are my current most used face powders/blushes) and, finally, Natasha Denona, which is a brand that I am pretty much obsessed with at this point - the eyeshadows are probably my favourite formula ever and her glow-giving products are second to none! I need to try more from this brand! I would love to hear what brands you are hoping to explore this year and also, any recommendations you have from the ones I have mentioned? Please tell me in the comments below!